WE also proved that despite our differences politically, when it really matters, WE come together and help each other and acknowledge the help, thanks to President Obama and Governor Christie. But back to the 47%. I have really been struck for some time by the comments by Romney about givers and takers in the U.S. I am apparently part of the 53%, but at some point in the next few years I will become a taker, when I reach social security age and collect my entitlement (when did that become such a bad word?). My father, who served in WWII and Korea, had his own business and employed a number of people and now at 87 volunteers several hours a week at the airport, is a taker. If it were not for the VA Hospital, he and my mom would have sold their home years ago to take care of his health-care needs. And although my father earned his entitlement, he is by definition of some, a taker…or is he? So I did some looking into who are the givers and takers in the U.S. The first variable was the amount a state pays in taxes v. the amount a state receives in federal subsidization. In other words, does a state give more in taxes than it receives back or does it take back more than it pays in taxes? With me so far? And since someone has skillfully divided us into Red and Blue states I used that as one of my variables. Of the sixteen states which pay out more than they receive (givers), all but one, Texas, is blue. The other giver states include New Hampshire, Maryland, New Jersey, Delaware, New York, Michigan, Wisconsin, Illinois, Minnesota, Colorado, California, Connecticut, Nevada, Oregon and Washington. Of the remaining 34 states, only Ohio breaks even. The rest, 33 states, pay fewer taxes than they receive in subsidization (takers) and, all except six, are red. In other words, the liberal and progressive blue states give more and take less than the conservative and reactionary red states. Now these statistics are easily verifiable. I found a number of articles on the web which supported this. What I did not count on was the e-mail I received as I was writing this. It is included in its entirety below with some other statistics for consideration. But the point I want you to come away with here is not whether or not blue state people are better than red state people, or that blue state people have earned the right to thumb our collective noses at the red state people. What I want you to come away with is it is high time WE the People stop letting a handful of very self-serving divisive people create schisms between US. There will be times when anyone of US is going to need a hand, and at any given time, anyone of US will be in a position to give that needed hand. WE are all in this country together, and WE need to work together and quit playing with crazy separatist agendas. Only then will WE be the great nation WE purport to be. We in California intend to form our own country and we’re taking the other Blue States with us. In case you aren’t aware that includes New York, Hawaii, Oregon, Washington, Minnesota, Wisconsin, Michigan, Illinois and the rest of the Northeast. We believe the split will be beneficial to the nation and especially to the people of the new country of The Enlightened States of America (E.S.A). With the Blue States in hand, we will have firm control of 80% of the country’s fresh water, more than 90% of the pineapple and lettuce, 92% of the nation’s fresh fruit, 95% of the best restaurants, 95% of America’s quality wines (we’ll give you Franzia in a box to serve at state dinners), 90% of all cheese, 90 percent of the high tech industry, most of the US low sulfur coal, all living redwoods, sequoias and condors, all the Ivy and Seven Sister schools plus Harvard, Yale, Stanford, Cal Tech and MIT. 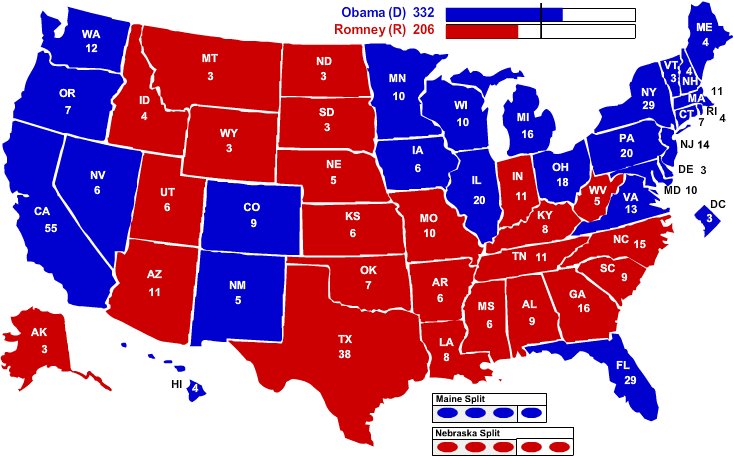 With the Red States you will have to cope with 88% of all obese Americans and their projected health care costs, 92% of all US mosquitoes, nearly 100% of the tornadoes, 90% of the hurricanes, 99% of all Southern Baptists, virtually 100% of all televangelists, Rush Limbaugh, Bob Jones University, Clemson, and the University of Georgia. 38% of those in the Red states believe Jonah was actually swallowed by a whale, 62% believe life is sacred unless we’re discussing the death penalty or gun laws, 44% say that evolution is only a theory, 53% that Saddam was involved in 9/11, and 61% of you crazy bastards believe you are people with higher morals then we lefties. P.S. We’re taking the good weed too. You can have that crap they grow in Mexico. What a joy to read, Jack. Too bad it won’t happen soon! Like I wrote Judi, it is time to come together and stop this nonsense about Red and Blue States. WE are a nation which has so much potential. If WE could respect others’ points of view without name calling and vitriol and stop allowing ourselves to be cajoled and influenced by those who would have US so, imagine the possibilities. A fun, fun read. Thanks Jack – and thank your friend as well. I am just tired of all the out of control spending in Washington. Passing laws that nobody knows about until it’s too late. It is the economy, congress sitting on their fat _sses and not doing a single thing, nobody up there taking responsibility that I have a problem with. Not my neighboring states. Who wants to be the laughing stock of the world? Look at us! Proud to be an American? Not so sure lately. I would like to think my tax $ is going for worthy causes. Red or Blue makes no difference to me. We all have to work together to make it work like it has in the past. Washington is taking us ALL for a ride. Red and Blue can come together and make a better nation than Washington is doing for us. The second and third sentences substituted “New York” for “California”. “Please be aware that the E.S.A. will be anti war and we’re going to want all our citizens back from Afghanistan at once. If you need people to fight, ask your evangelicals. They have kids they’re apparently willing to send to their deaths for no purpose and they don’t care if you don’t show pictures of their children’s caskets coming home. Your version contains (tongue-in-cheek?) references to the “best restaurants” and a modification of the wine served at state dinners. Thank you for publishing your version, although the omitted statements about war resonated with me, and I wanted to cheer when I read them. Re coming together, red and blue, I wonder if that’s possible. I was shocked, stunned by the vitriolic hate for President Obama that emanated from “red” friends prior to the election. Such hate does not dissipate quickly or easily and subsequently, the media has shared the “red” declaration of “war” against future “blue” candidates. Keeping liberals/the left engaged and active in the political process will be crucial to overcoming the tyranny of the oligarchs. Your article misses an important facet, Red States are more responsible with their money. Do you really want your state to be a (giver)? To take on debt? Minnesota has a debt to GPD ratio of -17.56%. And 10% of our population is on food stamps. Is that really even a good life? Overall, we live in a society of entitlements, everyone is entitled to be rich. How about this: Work for it, earn it. Don’t run a state or a country into debt because you’re “entitled”. In other words, the liberal and progressive blue states give more and take less than the conservative and reactionary red states.